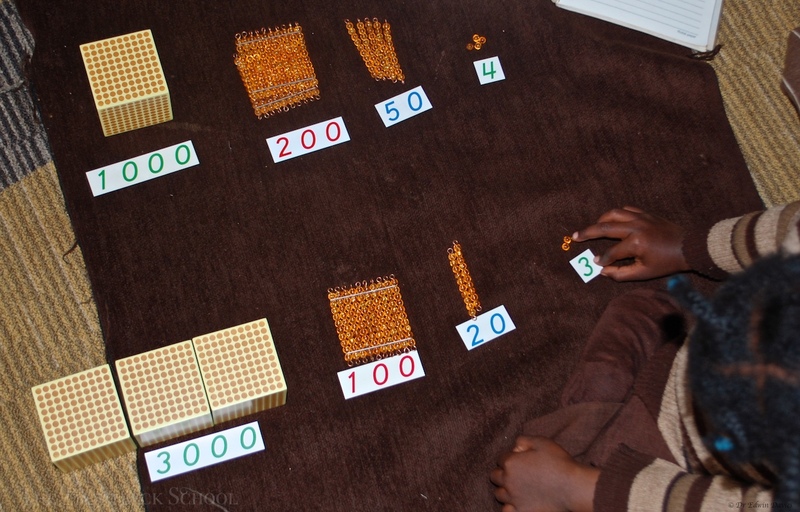 Very early in their Montessori life children in the ECD class learn the physical nature of numbers. In ECD we use unit beads, ten beads, hundred beads and thousand beads as real, useable, physical objects for the children to see, touch, count and begin their arithmetic with. 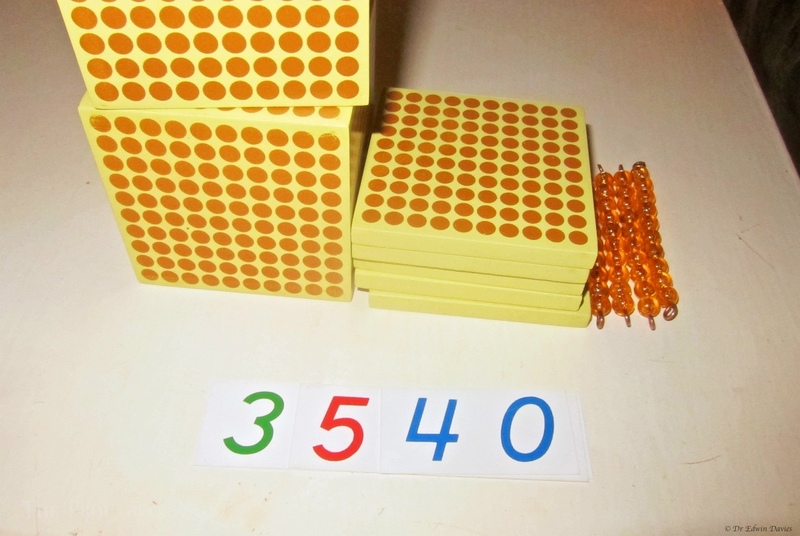 This understanding of the physical representation of numbers is used by all children throughout the Montessori classroom – through long division, long multiplication, decimal fractions and on to trinomial squares then trinomial cubes!